Formed out of the ashes of the legendary group The Misunderstood, by the time the band recorded this, their second album, the group featured Paul Williams (vocals, piano), Glen Campbell (steel guitar), Chris Mercer (saxophone), Mickey Moody (guitar), Keith Ellis (bass) and Rod Coombes (drums). 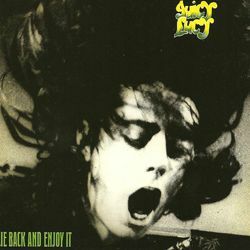 One of the first signings to Vertigo Records, Juicy Lucy’s second album was a fine work and spawned their classic interpretation of Frank Zappa’s Willie the Pimp. This Esoteric Recordings reissue has been re-mastered from the original tapes and fully restores the original album artwork and features the bonus track I’m a Thief.